Is change the new Big? The owners of the future are important. They will write the story of your life. So will they own you, or will you own you? Who will win the future? In the next decades we will become a fully Digital Earth. Can we build a successful planet with many new ways for everyone to succeed? If we could, then neither startups nor big companies win. You will win the future. Building that Digital Earth will be a bigger business opportunity for both startups and leading companies — a planet where everyone wins and rises to the top of society. Who will win the future — leading companies, startups or you? How will America climb out of its economic decline, bring prosperity back to the middle class and give us “The Future” we want? The tech industry is where society thinks this question will find answers. Here’s what some in the tech industry think. I recently went to Silicon Valley to meet with top tech companies. 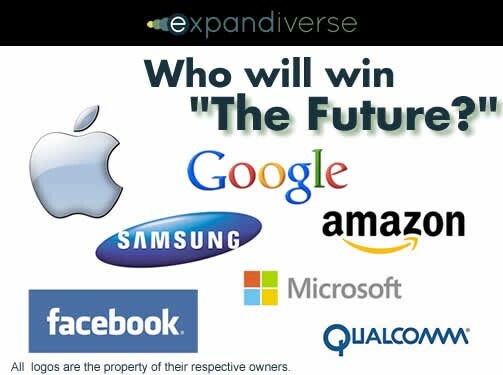 All said the Expandiverse’s new technology to build a digital world describes where the tech industry is headed. All are moving forward toward new technology, each in their own way — with their own roadmaps. I also met with entrepreneurs, angel investors and a VC (Venture Capitalist). As Silicon Valley’s engine, startups drive change at ever faster speeds. They pivot until they find traction, build revenues and grow companies. In parallel, angel investors and Venture Capitalists want them to accept investments so they can share the valuable assets (new companies) they create. Who will win? Will our solutions come from big company roadmaps, market driven startups, or something else? The real question is where will we find “The Future” we want? If I could choose a destination I’d choose greatness for everyone. “The Future” should be a world where success and greatness become normal. For you and for everyone. The source of “The Future” is important. The ones who win will choose. They will own your future and write the story of your life. When startups rule: Change is the new Big. Change eats the slow. Change has changed: Every day, the future arrives faster. Today’s scope and speed of innovations have expanded. Innovation is more than new technology. Successful startups can add new tech, new IP, new business models and new ways to live, work and communicate. Google: Started in 1996 as a PageRank algorithm to improve Search, became the world’s largest online advertising business. PayPal: Started in 1998 as digital cash for PDA’s, became eBay’s online payments. Facebook: Started in 2003 as an online version of Harvard’s houses’ printed facebooks, became the world’s largest social network. YouTube: Started in 2005 as a way to share short videos online, became the third largest domain by page views, and 17% of peak-period download traffic in North America. Twitter: Started in 2006 as a way to use SMS texting to communicate with small groups using short bursts, became faster news than the news, and a wider social media than Facebook. Instagram: Started in 2010 as photo sharing, became a $1 billion extension of a social networking service. Startups can become exceptional. The biggest change a lot of people’s lives, but startup companies grow by pivoting until they find what works. That proves their best plans didn’t work. Can that drive the future we need? Today’s top-down rule: Change is the new Big. The big still eat the small. The leading companies have created ecosystems that capture customers and drive the future they want. The best ecosystems are from Apple, Google, Amazon, Facebook, LinkedIn, Microsoft and more. Each has its own roadmap to build the future it wants — a future they own. There’s just one problem: Their customers (markets) and startups (potential competitors) change faster than them. The leading companies are in an impossible race to stay ahead of constant changes. Except they have a powerful weapon — their deep pockets. Expectations keep rising. Innovations are everywhere. Volatility and speed accelerate. Financial pressures mount as economies plateau, middle class incomes shrink, governments can’t afford everything they promise and customers don’t have enough money to buy the lifestyle they’re trying to live. Technology’s pace is approaching the speed of thought. If it can be imagined, it can be built. 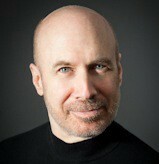 The “end state” for lots of startups, new technologies and IP is an acquisition. They become part of a leading company’s weapons platform. The big eat the small, and the biggest want to own the world. They each have their roadmap, but is that the future you want? The Silicon Valley meetings exposed the real story. Tech companies want to do good, but their focus is their business. Both startups and leaders want the same future: They win. They’re the leaders. We’re just like them. Your biggest story is your future. We each want to be the winner in our future. We’re just like the startups and the leading companies. Our biggest story is our future. We each want to be the winner in our future. But how will we get there? It’s time to look beyond tech. The industrial revolution has been an unprecedented success. Humanity changed the world forever, taking our personal and economic potentials to unmatched heights. Now that’s forcing us to learn how to cope with success. Fresh water supplies for our gargantuan needs, and more. Inevitably, these will overtake us because we won’t make sweeping changes in how we live and what we want. We like the way we are. Nearly everyone wants it all, wants it now, and refuses to slow down. We’re in a race against problems we will keep creating. This dilemma is also history’s first opportunity to build a far more successful world than has ever existed before. As we leave behind the industrial era, our coming digital world must become far better than we expect. We need to use our greatness to become more, achieve more, fulfill our potentials. It’s time to look at tech in a new way. As we become a digital planet, our story isn’t which company’s products or services leads and drives “The Future.” In the next decades, we will become a fully digital world. For the first time, we need to be so capable that we succeed in spite of ourselves. Without tech we won’t complete our journey or fulfill our destiny. We need tech so we become even greater than we can imagine we will be. If Change is the new Big, where do you fit in the future? Since 2007 I’ve been privately developing another way forward. Neither top-down nor bottom-up, it’s new technology to build tomorrow’s more successful digital planet today. Suppose we could move into a continuously connected digital world that adds new ways for individuals, groups and societies to succeed. Suppose technology could serve everyone so you can use your continuous connections — with people, devices, apps, services, tools and resources — to build the future you want. Suppose this new tech were also IP that gives companies incentives to adopt it and use it to capture markets, so building this new kind of future could expand their revenues and profits. This new technology is named the Expandiverse. It’s an “expanding” digital “universe” that puts everyone in control, so everyone can move to the top of an expanding pyramid. It’s a new path to universal personal success, to collaborative advances, to potential prosperity for everyone regardless of your education or financial resources. This IP will be in force until 2031, when it will become free for everyone to use. Forever. What if the real owner of your future is you? Would you sit on top of the world’s pyramid, rather than be controlled by it? Would you run your world in the ways you believe are best? Would you enjoy a digital world that’s you-centered, a world that makes money by serving you? Neither top-down nor bottom-up, it’s new technology to build tomorrow’s more successful digital planet today. In addition to the future that will come from bottom-up startups and top-down leading companies, there’s now another way. Buildable Expandiverse Technology and IP could be used by both leading companies and startups to produce a continuously connected digital world of the future. The biggest surprise in Silicon Valley was hearing companies say this is where the tech industry is headed. But we actually talked about the Expandiverse’s family of devices with continuous connections, its shared digital spaces that are you-centered and provide you a digital world that you control — and other specific business opportunities. They saw its products, services and profits. I saw the future take a step toward a successful world. If the alignment clicks, the world’s biggest business opportunity might be building our advanced digital Earth. A world where you and everyone can rise to the top, where greatness becomes the norm. That would be an interesting pivot for our struggling Earth, no? Can we survive the coming Age of Crisis? Only if we reach our full potentials before it arrives.